Small wind slabs and cornices reactive to ski trigger, slabs 6 - 18 inches. 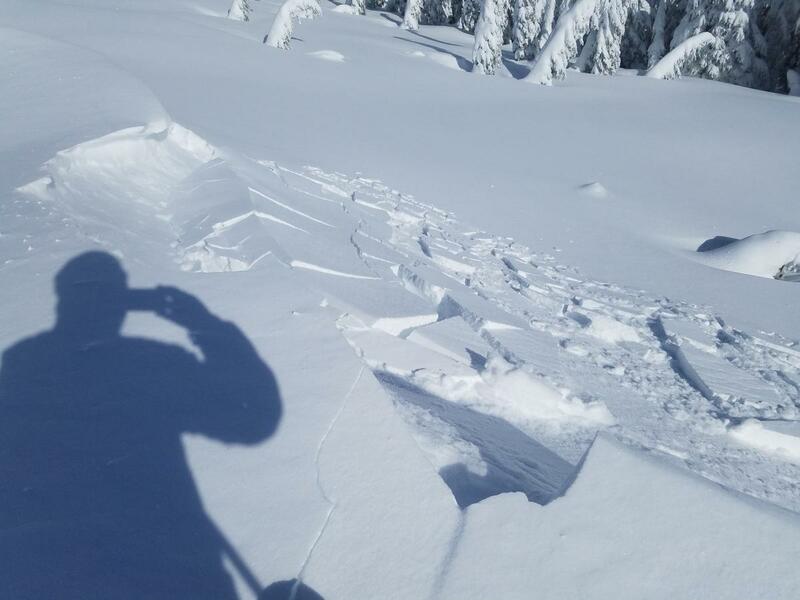 No natural avalanches seen near or above treeline. Temperature gradient conducive to faceting, but no signs of faceting down to February 2nd rain crust. Moderate to strong westerly winds transporting snow. Above treeline snow surfaces becoming wind affected. Height of snow (HS): 330 cm (130 in). Ski penetration (PS) / boot penetration (PB): 6 inches / 24 inches.